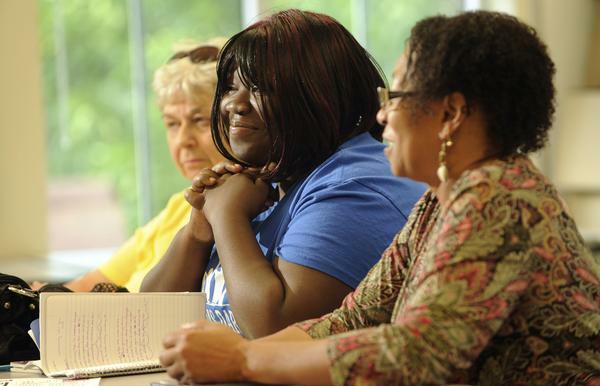 Briana Johnson held a spiral notebook with both hands and recited a long paragraph from the page to the five women gathered around her for the weekly writing group. Kirsten Morgan, the group leader, asked the five women at the table to comment on Johnson’s piece. Brenda Haynesworth said it should become about Johnson’s own perception, not others’ perceptions of her. “You’ve stumbled upon one of the secrets of the successful writer,” Morgan said.